According to investigators with the Arizona Department of Public Safety, the accident occurred in the northbound lanes of SR-87 at Gilbert Road shortly after 3:00 p.m. An SUV was heading southbound on SR-87 when the driver lost control of the vehicle. The SUV traveled over the median and into the northbound lanes before rolling. 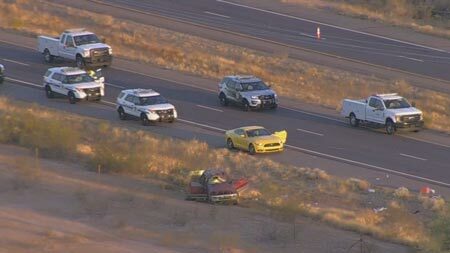 The driver of the vehicle was killed and a woman died after being ejected from the vehicle. Four others were transported to hospitals in critical condition with non-life-threatening injuries. Two of those injured were teenagers, another was a pre-teen and the fourth was an adult. We offer our condolences to the family and friends of those killed in this tragic rollover accident and wish speedy and complete recoveries to the four who were injured. The deceased victims of this accident have been identified as Rafael Rosa, age 19, and Esmeralda Rojas, age 19. Mr. Rosa was reported to be the driver of the vehicle.